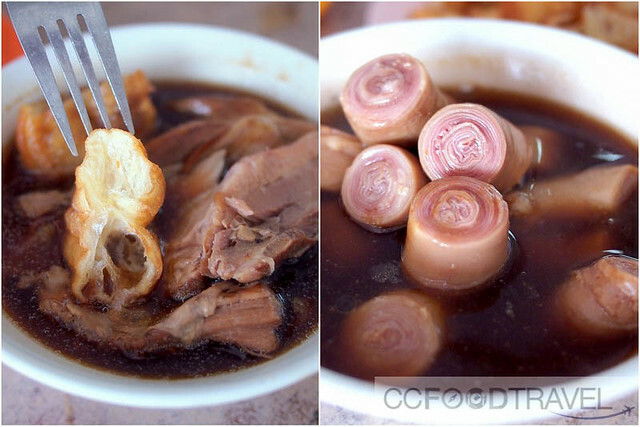 Or, Pork Bone Tea Soup. The ones we like anyway, are infused with herbs such as Dong Quai, Cinnamon, Star Anise, and loaded with pork ribs, pig intestine, mushrooms, tofu puffs, and heaps of garlic. 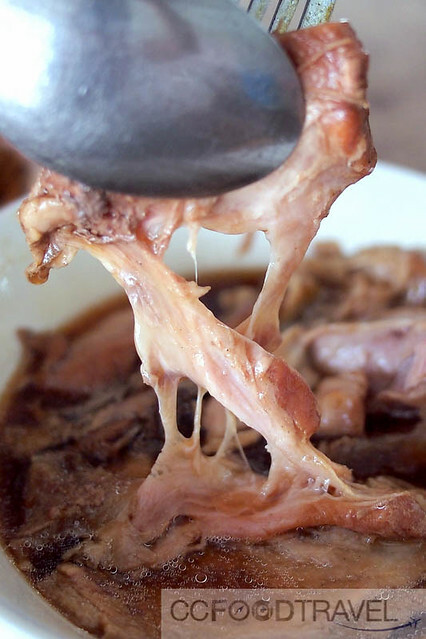 The herbal aroma and rendered pork fat bits in this soup should fill your nostrils with evocative scents, so irresistible it makes you want to guzzle that black shiny stew. 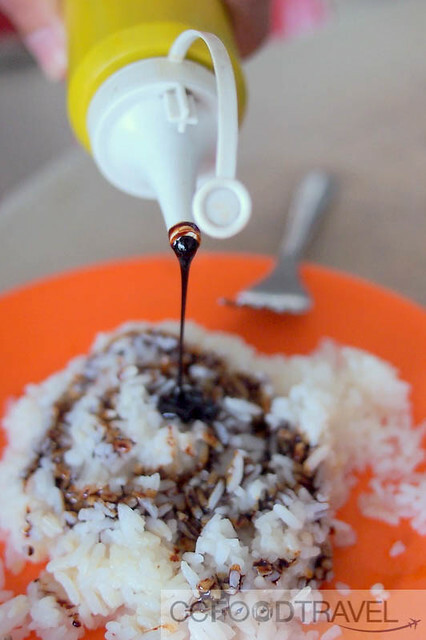 Eaten with plain white rice doused in thick black sauce and also yau char kway (Chinese crullers) all else that’s missing should be just a small plate of birds eye chili plus soy sauce. 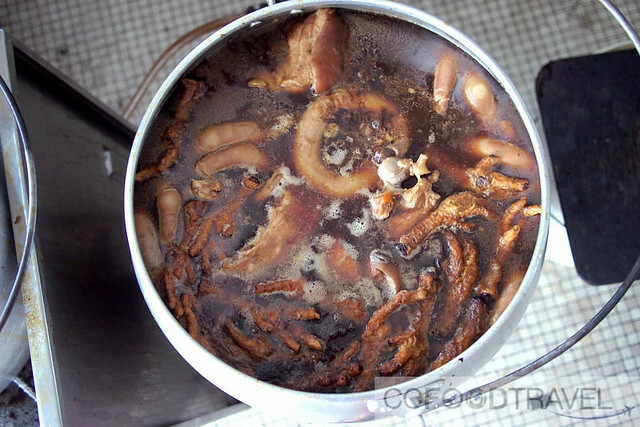 So the reason why we don’t actually like Klang Bak Kut Teh as much as say Pudu KL Bak Kut Teh, is because it lacks that herbal oomph. No doubt the soups might be rich and thick with pork flavour, but somehow the herbs are usually missing. 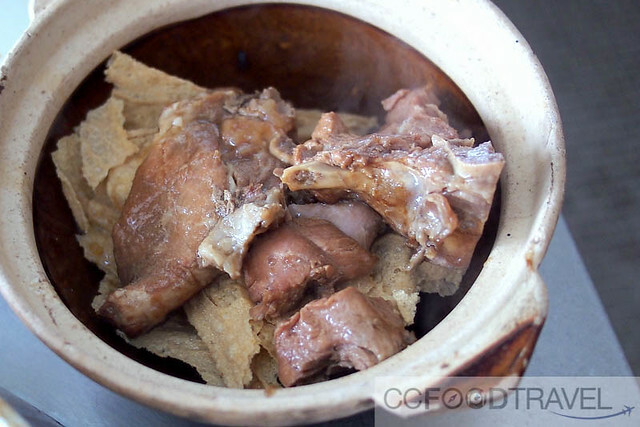 But no matter – we read on the internet about these top 10 ‘Must Visit’ Bak Kut Teh joints in Klang, so we just picked one.. one sunny Saturday afternoon, and arrived at Lek Bah Kut Teh. Located in Teluk Pulai, it’s an hour’s drive from PJ. This was not our first choice – we initally headed to Seng Huat Bak Kut Teh, but we were too late (this is a breakfast place so arrive early if you want to avoid disappointment). Anyway, we soon found Lek Bah Kut Teh on the GPS – only 1.5 KM from Jalan Besar, so we decided to head there. 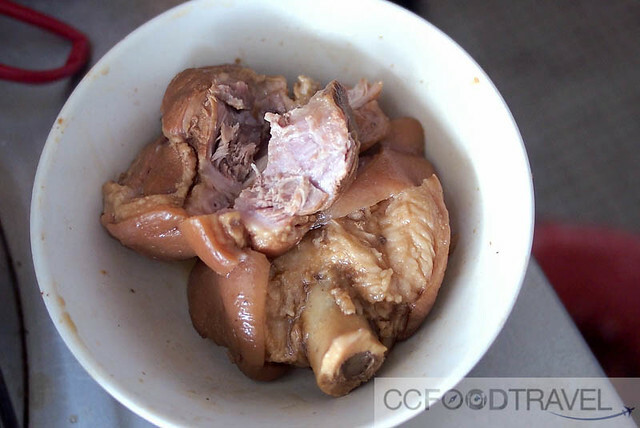 For me, the must orders are Pig Intestine and Pai Kuat (ribs), or at least any pork cuts with bone on it (tai kuat or sai kuat). 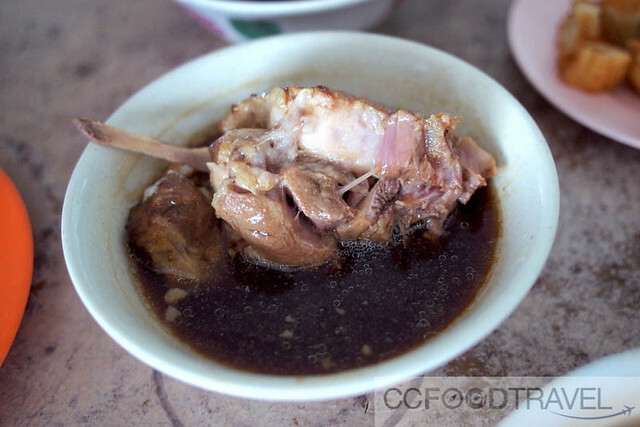 Cumi likes the lean pork, which I find is a bit of a waste of time, when eating Bak Kut Teh. The more cartilaginous, the better, if you ask me. And if it don’t wobble, don’t bother. Anyway, to each his or her own. Plenty of meat to go around so no need to fight! So how was the Bak Kut Teh? The Pork broth was strong and deep with Pork flavour. The meat with the fatty bits were delicious. 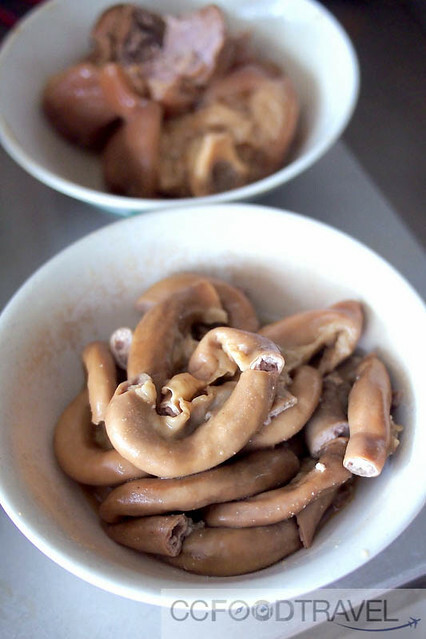 I loved the dai-cheong (large pig intestines) which was soft yet crunchy at the same time. I marvel at the fact that they boil it all day yet it’s not rubbery or overcooked and tough. Super impressed with the cheong. Really orgasmic when eaten with a dab of soy sauce and birds eye chili. However, the herbal oomph in the soup was lacking. 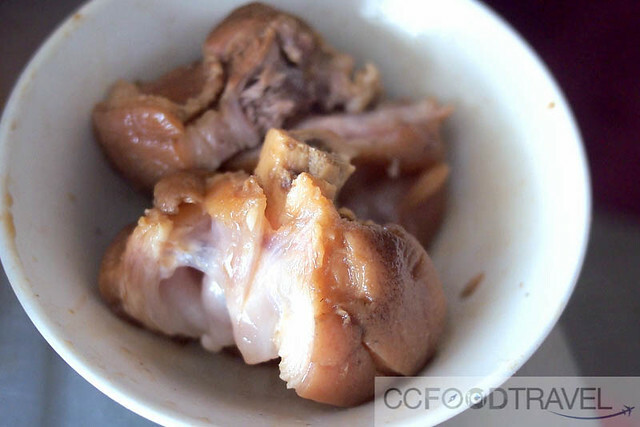 Fun Cheong – smaller than the Dai Cheong but still addictively good. Not the bee’s knees.. but rather, the Pig’s knees! LOL… this is the Chee Keok Wan.. wobble wobble! So, will we come back..? Maybe. But we still have a whole list of Klang joints to eat our way through.. and it seems like the illusive herbal broth.. is going to stay illusive just a wee while longer. 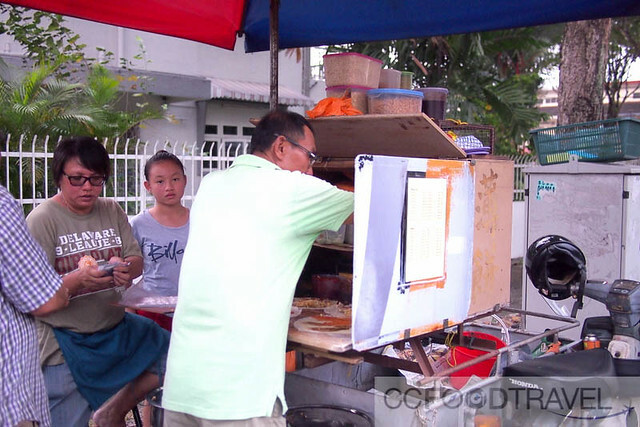 Outside along the main street, this Popiah man rolls popiah. Cumi tries it and says it’s nice. Reminds him of the Stadium one, whatever that means. It’s loaded with shredded vegetables – tons of jicama or yambean (bangkuang).. which tastes too tasty to be 100% vegetarian. Yup definitely cooked in pork fat. And the bonus is a nice piece of lap cheong (chinese sausage) in the middle of each popiah. He definitely seemed happy with his find. Maybe next time I will try one too.. if I have enough space in my stomach after eating half a pig and its guts, or something like that. Next articleThe Malaysian Wine Fiesta is Back! 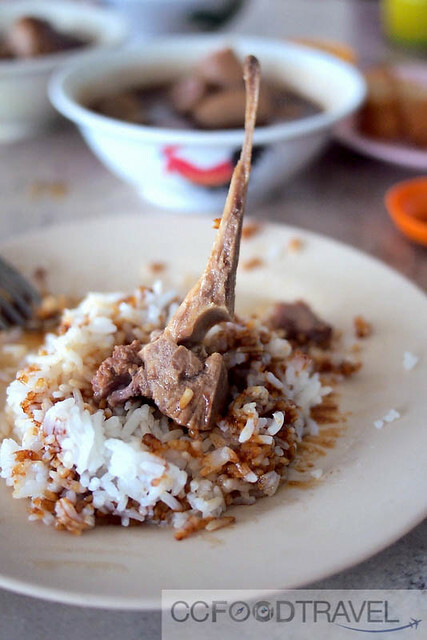 Is this one the best in Klang? Not that fond of bak kut teh, just so so with it but people tell me I must go for the best in Klang, not in KL, not in PJ, not anywhere else. There will be no turning back! Unfortunately/Fortunately, nobody has ever brought me there…so I’m still not really a fan. 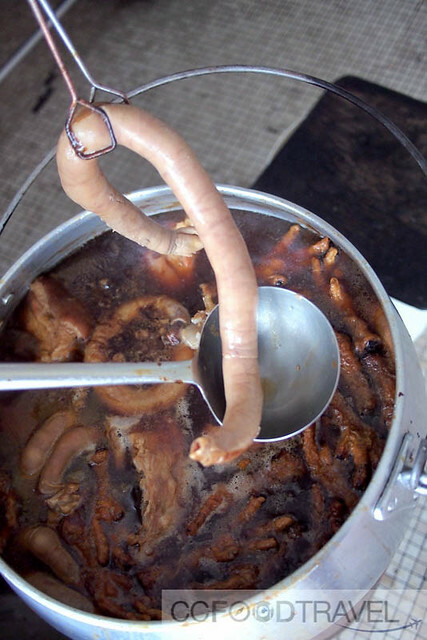 Oh dear, no wobbly bits for me, please…..but I do love them intestines. Is that pig’s tail I see in the first pic? Actually, I like my BKT with less of a herbal taste. The fattier the meat the better! Otherwise it’s no BKT for me hahaha. 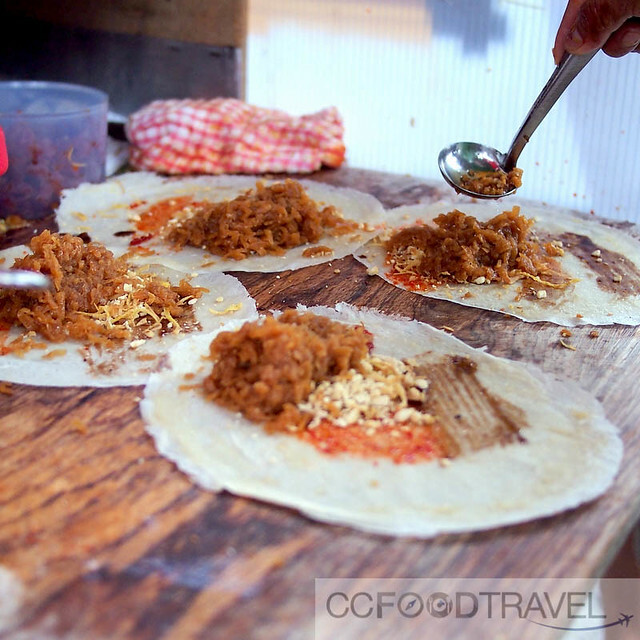 Gotta do the Klang BKT soon also and to find that Popiah with pork lard at Taman Eng Ann also, have you tried it?